ach and West Palm Beach are among some of the earliest developed sections of south Florida, where Henry Flagler planted his flag. 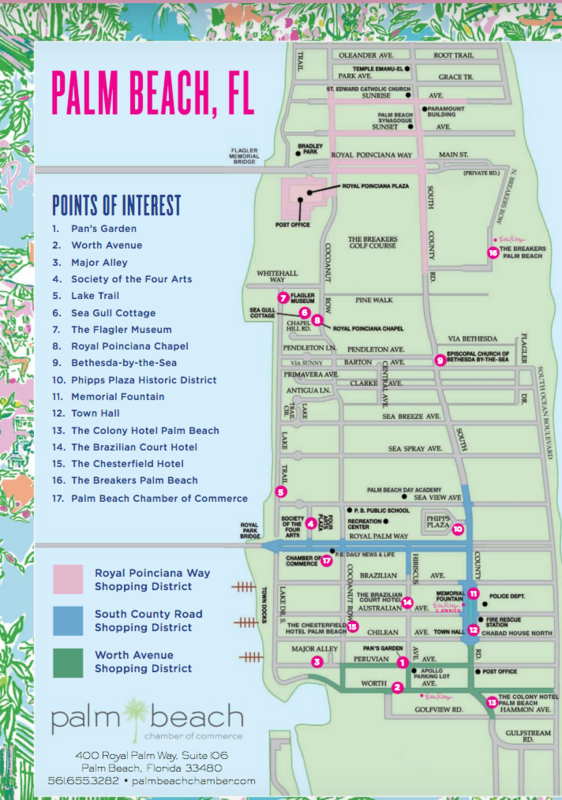 There are spectacular homes, tree-lined residential streets, and several historic districts that are worth exploring as a unique, DIY run or as part of one of our other routes. Below is a list of some favorite sections. Description and historical overview here. Palm Beach. 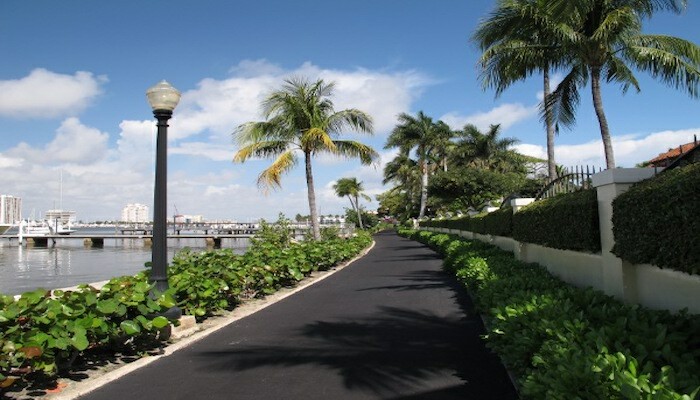 Create your own run along any of the beautiful residential side streets that run for 1/2 mile between S. Ocean Blvd. and Cocoanut Row or S. Lake Dr./Lake Trail, south of Royal Poinciana Way. Can easily create 4-5 miles of ‘in and out’ running ehre. North of Royal Poinciana Way, combine N. Ocean Blvd. with South County Rd., and run on any of the side streets (most don’t have sidewalks but there’s little traffic). 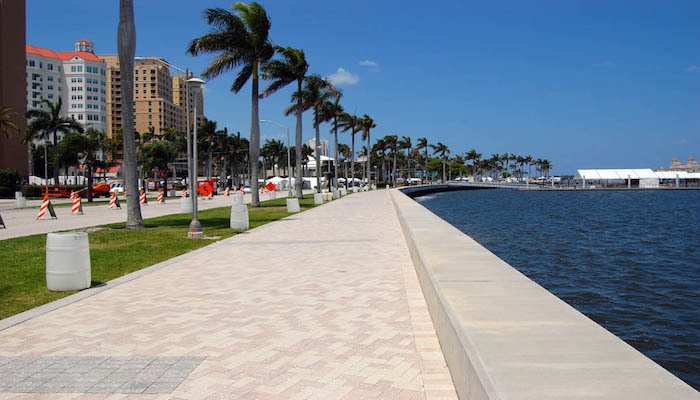 West Palm Beach. 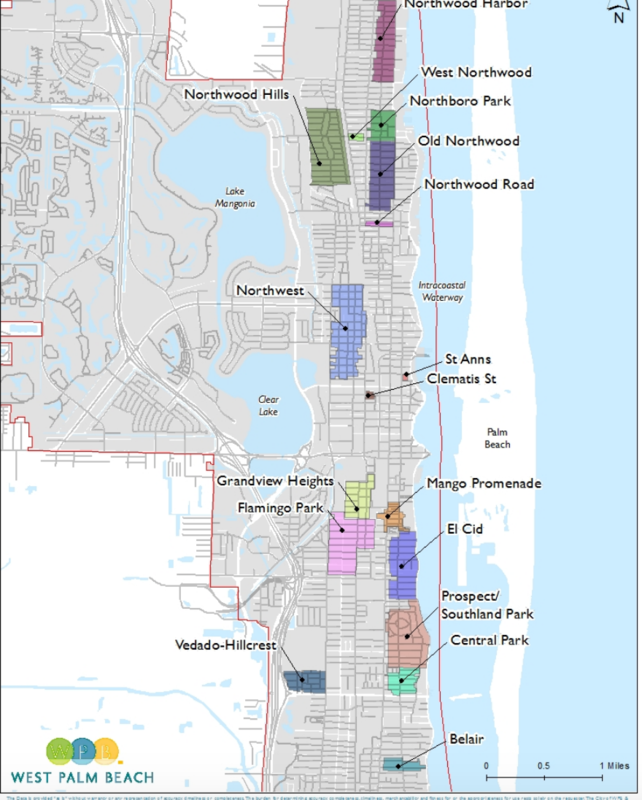 Just off S. Flagler Rd., south of Royal Park Bridge, there are several historic residential districts that run into each other, just west of S. Flagler, anchored by S. Olive: El Cid, Southland Park, Flamingo Park. Lovely running past historic homes on traffic-calmed streets, and a pretty canopy. Bonus: a good shade option on a hot day. Further north, there are several pretty residential streets in ‘Northwood’ historic districts.